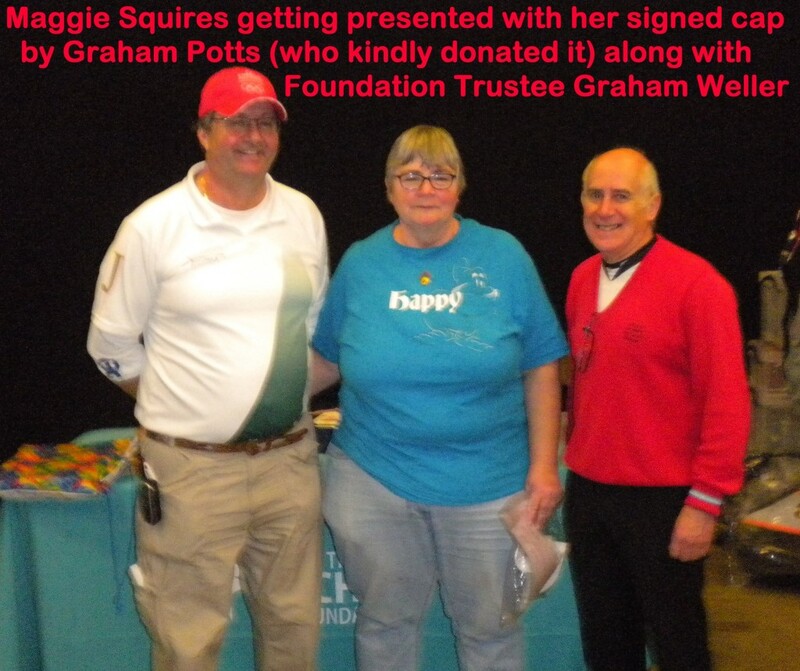 The Foundations Raffle at the National Indoors was given a massive boost by Graham Potts, who was Chairman of the Archery Judges at the Rio Olympics, when he gave us a Baseball Cap signed by no less than NINE Olympic and World Cup Series Winners. 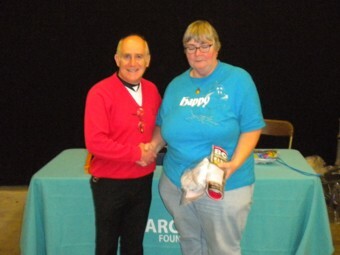 It was decided that this totally unique item was too good to be in the normal Raffle so it was open for bids and following a most generous bid it went to that well known and well respected Archery Coach Maggie Squires, who it turns out is an avid collector of caps. So it was with much pleasure that Graham was on hand to present the Cap to Maggie .